Point-of-Use protection may be the right choice for you. Whole house water filtration isn't always an option for everyone and may not be the best choice for your needs. We are dedicated to providing our customers with the best quality water filters for any circumstance. With that in mind we have developed a full line of Point-of-Use water filters for home and travel. 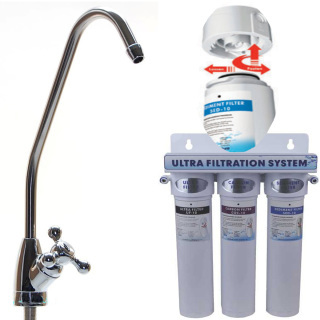 Options include shower filters, ice maker filters, filters for taps and faucets, filters for RV, filters for garden faucets, filters for rainwater harvesting systems, filters that connect to your faucets spouts, filters that connect to the cold water side of a kitchen or bathroom sink faucet, water filters for drinking fountains, water coolers and more; essentially any where you draw water, we have a filter for it. No more buying or hauling bottled water! With H2O Easy point of use filters you get a consistent, reliable, affordable source of clean, healthy water for pennies on the dollars. 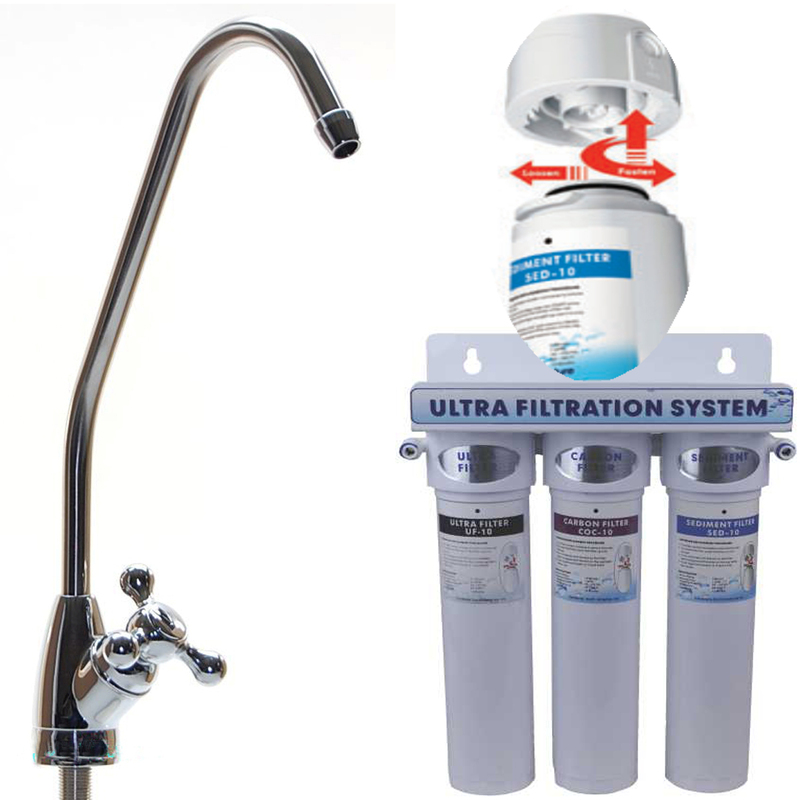 Filters for Taps is a smart and cost effective alternative. The perfect Point-of-Use solution for high quality, healthy drinking water. Quick-Change Filters provide 3 stage Ultra-Filtration for an affordable solution to a variety of water problems including, lead, VOC, pesticides, herbicides, chemicals, THM, chlorine, cysts, taste, odor, sediment, rust as small as 0.2 microns. Long lasting cartridges for less frequent replacement and lower cost. Cartridge replacement recommended every 12 months. • Removes impurities as small as 0.2 microns! • Includes self closing chrome water dispenser, quick connect inlet saddle valve, and 5ft ¼ tubing, optional faucet base plate. 2 Year product manufacturer warranty. Stop paying ridiculous prices for bottled water. Filtering at home will save time and money while helping to care for our environment.